Description: The Transmigration Bureau was established by JDC in New York to help refugees emigrate from Germany, Austria, Czechoslovakia, Holland, Belgium and Luxembourg, primarily to the U.S. Its primary role was to accept deposits from friends or family overseas towards the travel costs of Jews emigrating from Europe. 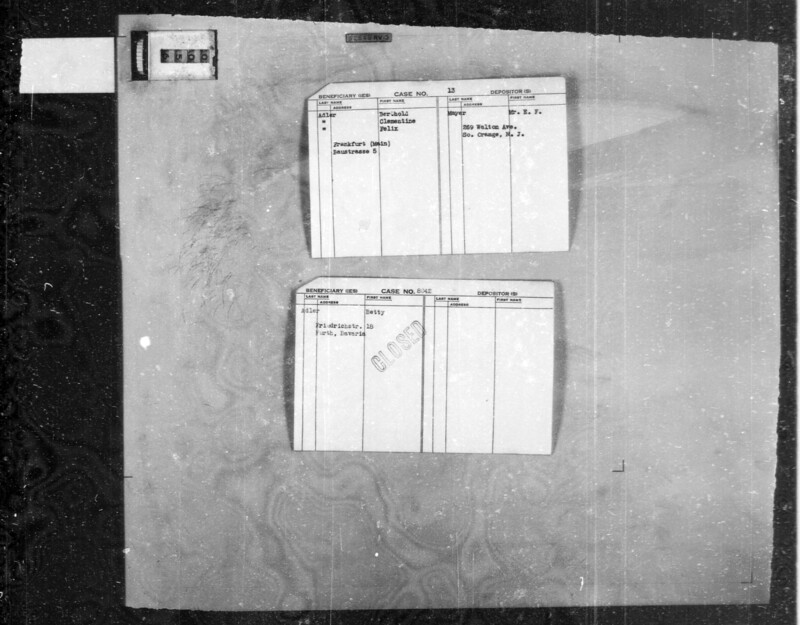 Included are deposit cards for 37,732 individuals who emigrated from 1940-1956, with the bulk from 1940-1942. Documents will open in a new window. The JDC Archives website and digitization project were made possible through a lead gift from Dr. Georgette Bennett and Dr. Leonard Polonsky CBE.